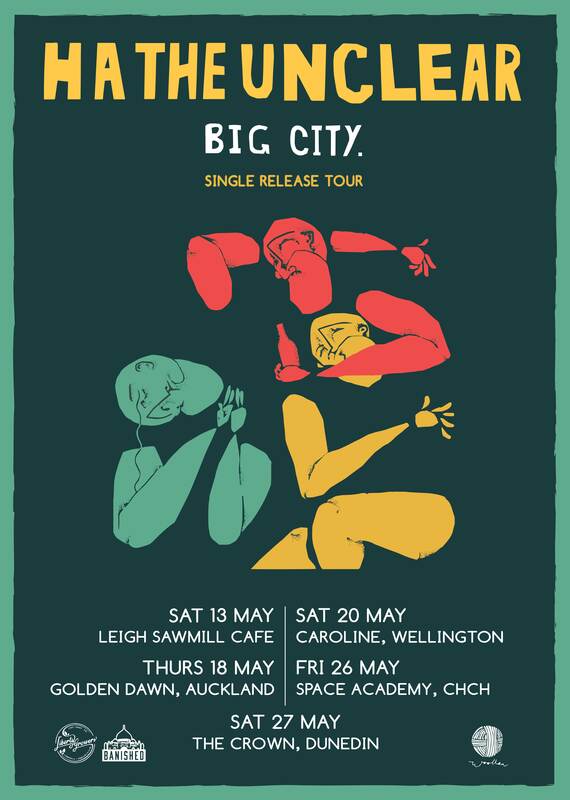 To celebrate the release of new single BIG CITY, Ha the Unclear are setting out on a tour of NZ. 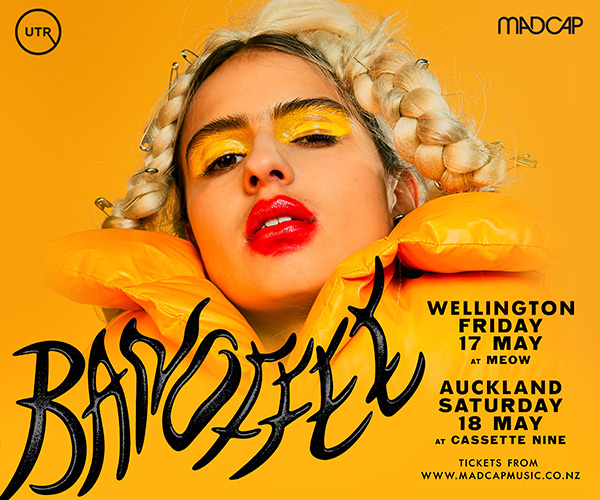 Due for release on 21st April on Banished From the Universe, BIG CITY is engineered and produced by Tom Healy (Tiny Ruins, Popstrangers) and details a journey through Auckland as a bus full of people fail to react appropriately to an onboard emergency. 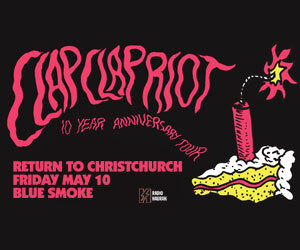 In 2015 Ha the Unclear relocated from their southern, Scottish influenced harbour hometown of Dunedin/Ōtepoti (pop. 127,000, farthest city in the world from London) to the North Island city of Auckland (pop. 1,495,000, average house price $1,000,000). 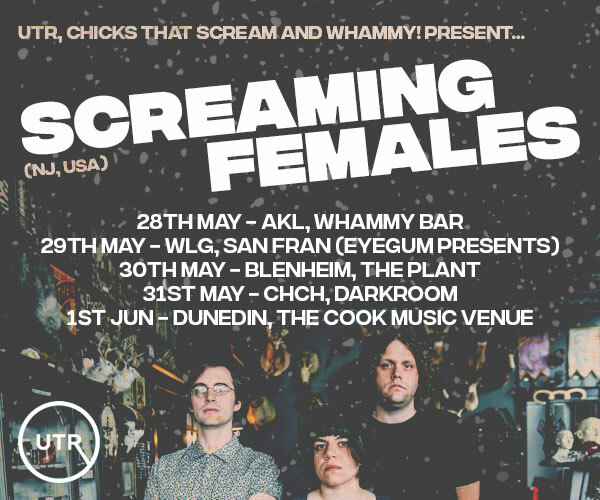 An exciting couple of years for Ha the Unclear has seen them nominated for a Tui at the NZ Music Awards, perform spirited sets at Rhythm & Vines and The Winter Garden, tour New Zealand supporting Courtney Barnett and perform shows across the Tasman in Australia.